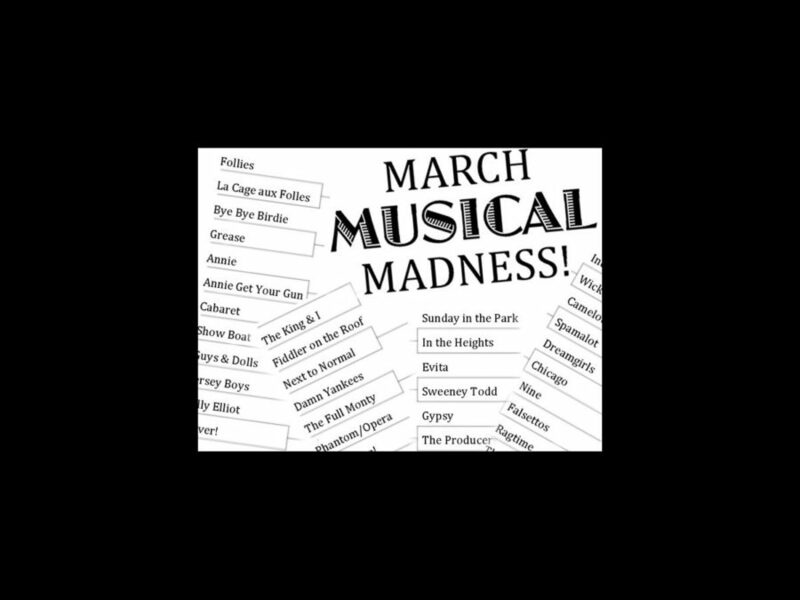 March Musical Madness! What’s the Best Broadway Musical of All Time? It's the ultimate question: What is the best Broadway musical of all time? There's no better way to hand out this showbiz superlative than to host the smackdown to end all smackdowns. Ladies and gentlemen, we're pleased to announce Broadway.com's March Musical Madness! As the sports world gears up for the NCAA championship tournament, we've decided to put together our own competitive bracket featuring 64 top-notch contenders to be crowned the All-Time Best Broadway Musical. 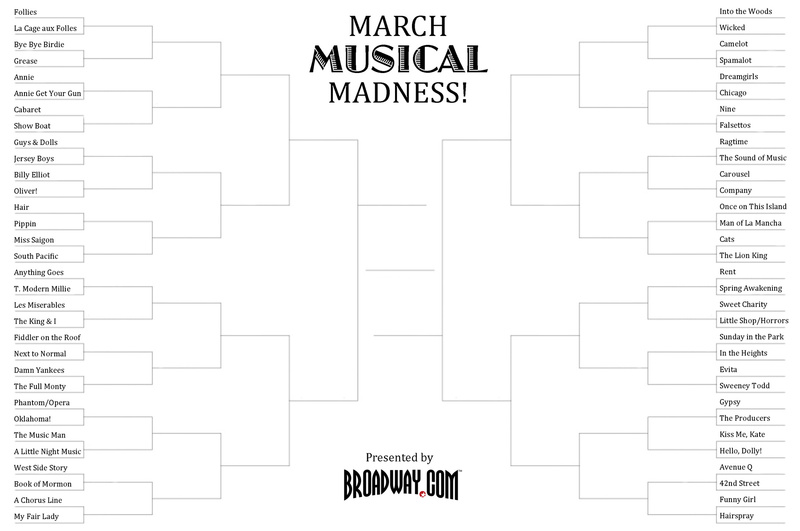 Click here for the 2013 Broadway.com March Musical Madness bracket! Here’s how it works: We’ll begin with 64 musicals, and the rest is in your hands! Fill out your bracket (see above) and you’ll vote each round as each tuner goes head to head, until only one show is left standing to claim the title. So who will conquer the tournament? Will it be a perennial classic, a revolutionary rock musical, a golden oldie or a cult fave? You decide! Check back on Monday, March 18 to vote in Round One!